The evangelisation work in this area began in the year 1870 by the Jesuit fathers of Calcutta, formerly known as the 'Bengal Jesuit Mission'. 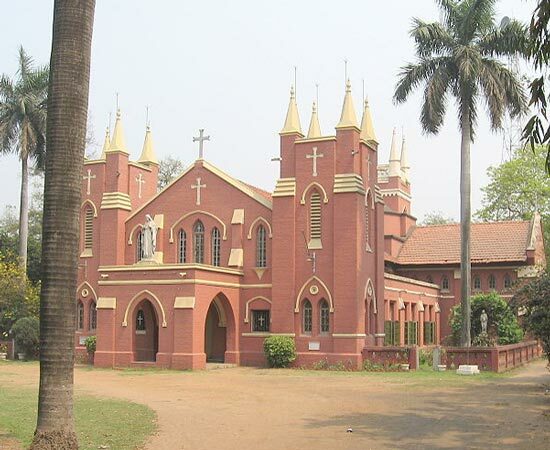 On May1, 1994 Burdwan-Bhirbum districts were formed into a vicariate by Archbishop Henry D'Souza of Calcutta and the Auxiliary Bishop Cyprian Monis of Calcutta was appointed as the Episcopal Vicar. By the apostolic bull dated October 24, 1977, His Holiness Pope John Paul II, adding Bankura district to the mentioned vicariate created the Diocese of Asansol. The Diocese of Asansol, thus consists of Burdwan district, nine blocks of Bankura district and 10 blocks of Birbhum district. Asansol is a sub-divisional headquarters within Burdwan district. It is an industrial town, 225 km north west of Calcutta. The diocese lies completely within the state of West-Bengal. As a matter of fact, the entire area of this diocese and more, from 1875 A.D. to 1964 A.D. formed a single parish, Sacred Heart Church, Asansol Bishop Cyprian Monis was appointed as the first Bishop of the diocese of Asansol on December 3,1997.